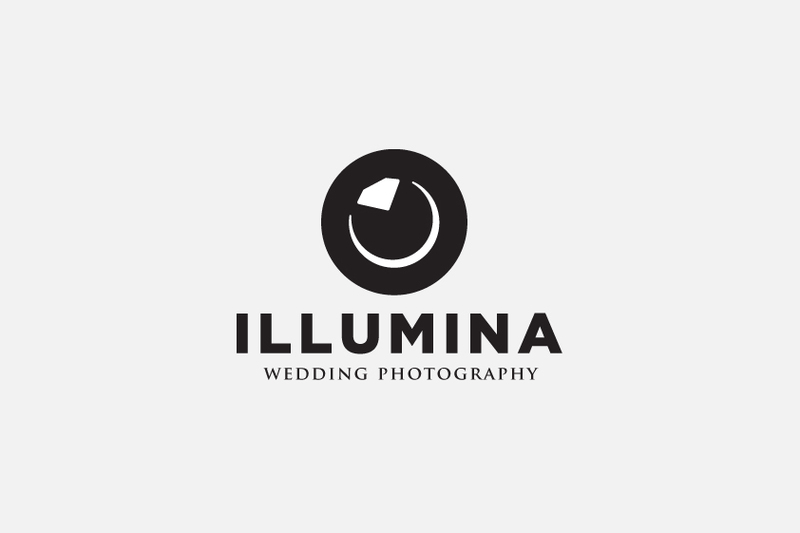 This is just a sneek peek of a logo and identity design I recently completed for a wedding photography studio, ‘Illumina’. The Sneek Peek is to provide an initial view of the logo images and is linked to my portfolio. An in-depth ‘logo design process’ post will be done in time brief and to the point information on that design. It will be linked to the images currently existing in my portfolio. The main idea was to avoid the usual cliché associations with photography logos as well as wedding photography in general. There were several key elements to this project. Incorporating the visual association of photography, weddings, and also playing on the Illumina name. The challenge was to create a logomark that summed up all these associations in one clean mark without looking tacky or cliche. The breakdown thus consists of the main black circle which hints at a camera lens, the white eclipse shape hints at both a lens reflection and also a moon/eclipse which is the association with ‘illumination/illumina’. Finally the wedding clue is the diamond positioned so as to look like its part of a wedding ring, also part of the eclipse. I didn’t want to make any one element too obvious, more a combination of subtle cues, but when in context work nicely. Gotham Black was used for the main wording and Trajan Bold was used for the tag line.